Stewart Stanbra from Evesham, England is the co-founder and Chief Executive Officer at College Scholarships USA. Having worked 10+ years in the college recruitment industry, Stewart has built a huge network in all sports across all the college divisions. 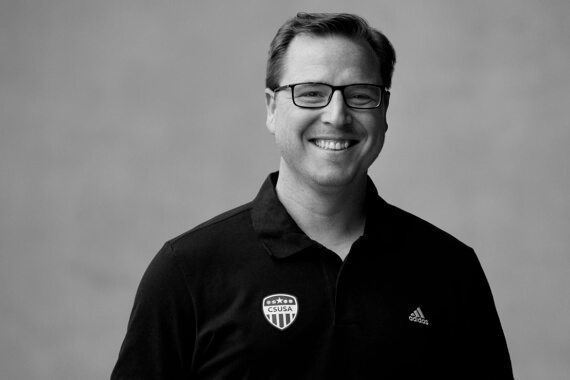 Stewart is a co-founder of CSUSA in 2007 and has overseen the business’ development in the last decade, which now operates in multiple countries with a talented team of former student-athletes. He is truly a college recruiting expert and has a vast network of college coaches in many different sports wanting to recruit student-athletes. Stewart played college soccer (NCAA D1 and D2) for four years between 2004 and 2007. He played at Canisius College in Buffalo, New York before transferring to the University of South Carolina Upstate in 2005 where he obtained a Bachelor of Science in Interdisciplinary Studies in 2008. Prior to going to university in the US, Stewart played soccer for Cheltenham Town FC Academy (English League 1). He decided to pursue a sports scholarship in the United States after failing to receive a professional contract. How do I pick the right college for me? Can I take a gap year before I start College?